(a few days ago actually, but I finally got around to photographing). 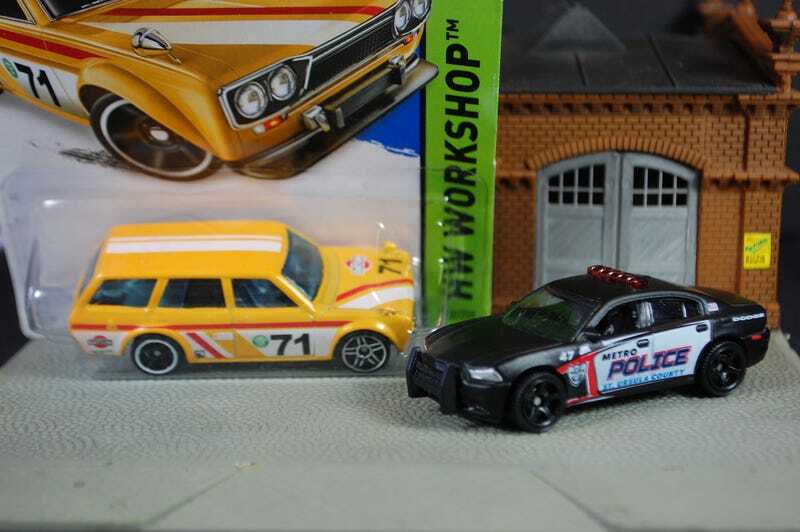 Philipphilip sent me the Charger to fill out my police fleet(I’ve already modified it with painted head & taillights and colored light bar). HE also sent me a neat errored Datsun with two different rim styles.